I love this book. I knew I would love this book the minute I read about it in the press. I preordered it without even thinking. I ticked off the days until publication more religiously than waiting for Christmas. I read it in two sittings. I want to read it again. I have told everyone I know to read it. I will be recommending it all year. I've devoured all the news articles about the author and any other reviews of the book that I see. I love this book. I love it, but I hate the idea of reviewing it. There's just no way I can write a review that will do justice to this insightful, brave, raw and painful novel which is so taut, so beautiful yet so disconcerting and deeply troubling. Any sentence I write sounds pathetically inadequate against Slimani's candid, stripped back prose which conveys so much through careful, precise and pertinent detail. With a plot full of such emotion, tension, anxiety and ambiguity it's hard to convey just how thought provoking this short novel is. And just how bereft and destroyed it will leave you feeling at the end. I think you'll just have to read it for yourselves. If you've seen the strap line for this book then you'll understand what makes this novel so original and stunning. 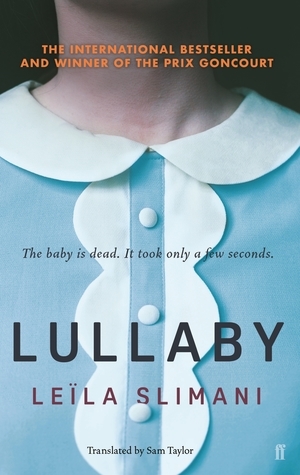 Surely the first line of Lullaby will soon be as famous as that of Rebecca or Bleak House. This striking, blunt and immediately ominous statement prepares the reader for a story that never shakes off this oppressive cloud which weighs heavily over each page. We know there is no happy ending and we know who is guilty; what we want to know is how and why. But Slimani doesn't make it that easy. Because parenting, and being human, isn't that easy. This is a bold and unique novel because it's the nanny who has harmed the children - a nanny who is conscientious, quiet, unassuming and almost invisible yet offers every member of the house exactly what they need, always going above and beyond what's required. A nanny who is intuitive, dedicated and seemingly perfect. A nanny where the parents find themselves prepared to overlook certain things, or to intervene, or consider her mental wellbeing, because doing so would destroy the freedom she gives them to satisfy their own needs. This is a bold and unique novel because it explores the dynamics within a family when the lines between personal and professional become blurred, exploited, misunderstood or manipulated. It presents us with characters who are sometimes hard to relate to, sometimes too easy to relate to and an author who is not frightened to expose the complex dynamics, relationships and needs that exist within a family. 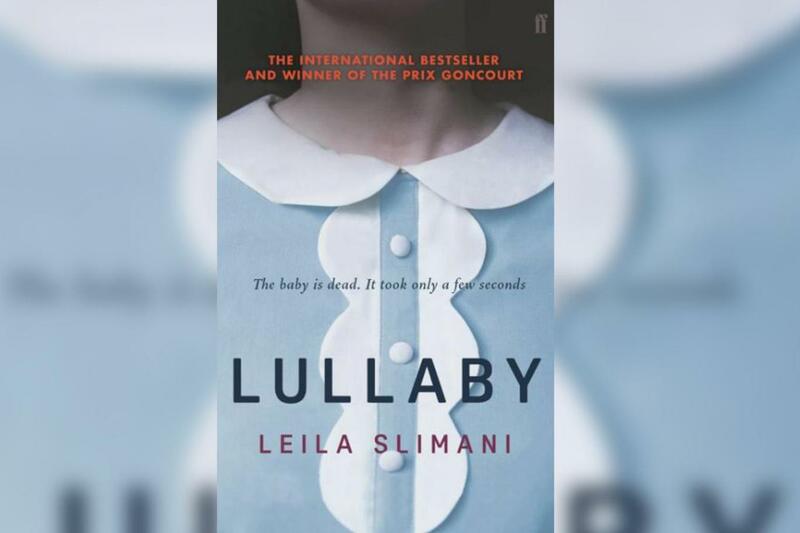 Slimani's domestic thriller is dark, uncomfortable, painful and utterly spellbinding. Part thriller, part psychological drama, part sociological commentary and depiction of intense loneliness, isolation and desire, this is an incredible book. I love how understated yet powerful the writing is and how much was suggested and implied through such sparse prose. As the intimacy between the Louise, the nanny, and the children develops and as she becomes more and more embedded in the lives of the family, the reader is on edge, sensing the danger in Louise's controlled demeanour and calculated efforts to ensure that Myriam and Paul are dependent, even beholden, to her. There are moments when the reader thinks Louise will be exposed, or Paul and Myriam will react to the clues that are not always that well hidden from them, but this is a story to which no one can change the end and there is nothing to stop it hurtling towards its catastrophic ending. Again, all I can say is that I can't tell you how much I loved this book and how impressive I found the prose and characterisation. The unwitting collusion between the parents, children and nanny to bring this harrowing end upon themselves is fascinating and final section from the view point of the police officer is a fantastically powerful way to end. As haunting as The Turn of the Screw, or Sarah Waters and with the conflicting narratives and unlikeable characters which rivals Gillian Flynn, this is without doubt going to be one of the most acclaimed novels of 2018. I will be pressing it into the hands of anyone who passes me. 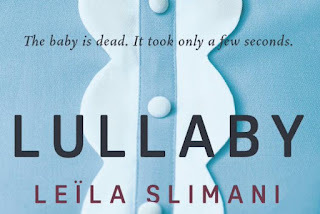 Lullaby was published by Faber and Faber on 11th January 2018. 1. Plenty of questions are raised in this novel. 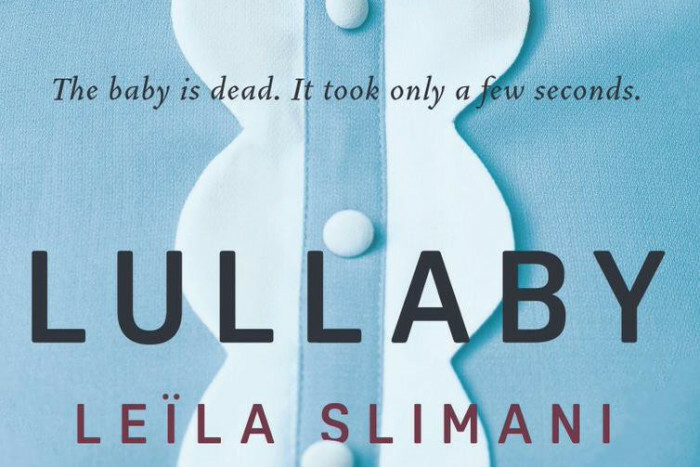 Do you think the author had one message she wanted to get across, or is the novel more an exploration of parenting - or is it just a good psychological thriller? 2. What does this novel say about parenting and motherhood? Can you identify with any of the thoughts, attitudes and behaviours of the parents in this book? 3 Which adult character did you find you had the most empathy for? And the least? 4. The first line of the novel tells us that the baby is dead. How does this affect your reading of the novel, knowing that it is not going to end well whatever happens in the pages in-between? 5. Was there any point in the novel when intervention, a different response or a different action could have prevented the outcome? Does this novel have to end in tragedy? Why? 6. Another title used for this novel is "The Perfect Nanny". Which title do you find more effective and why? 7. Could this novel be adapted for film? Who would you cast in the lead roles? 8. How important is the setting and location in this novel? Could the story still work in another city or country? 9. How did you feel towards the children in the novel? 10. This novel is partly inspired by the nanny Louise Woodward who was charged with manslaughter in 1997. Slimani said that she couldn't forget the implication made by the defence lawyer in that case, that if the mother, a doctor, had “wanted her children to be safe, she should have stayed at home”. 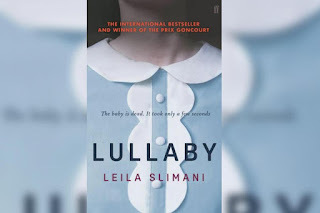 (Guardian 26th January 2018) How is Lullaby a response to this prejudice towards working mothers?